Back to football and basketball after ACL sugery! ACL reconstruction for a 14 year old isn�t ideal, but in this case it worked out perfect. Cooper Sloan is a 14 year old eighth grade from Peotone, IL. He is active in multiple sports including football, basketball and track. Quickness, determination and toughness are all hallmarks of how he completes in everything that he does. 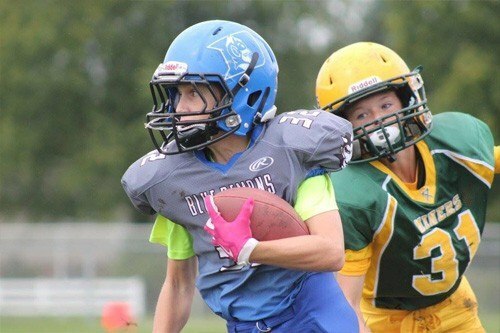 His seventh grade year in youth football he averaged four touchdowns a game at running back and averaged five steals per game in basketball. His fourth football game of the year started without event. His team started on defense and quickly secured and three and out. For the first play from scrimmage on offense Cooper was handed the ball up the middle where on his second cut he was hit as he planted on his right leg. Even the biggest hits seldom left him laying on the ground so when he didn�t get up it was very concerning. Cooper spent the next quarter testing and trying to figure out how to get back into the game. Ultimately his coaches made the best decision to make him sit for the remainder of the game. On Monday we were able to see an orthopedic to have him evaluated. The MRI quickly showed a complete tear of his ACL and fortunately no other structural damage. Because of his age we were concerned about technique and protection of his growth plate. As a result we started searching for a second opinion. We asked a friend who works with the athletic department at the University of Wisconsin and it was resounding that Dr. Brian Cole was who we needed to talk with. From our first visit we were all set at ease that this was the place we needed to be. We visited on a Friday at which time the diagnosis was verified and we decided to have Dr. Cole do the surgery. The following Wednesday we were schedule to have the procedure at the Gold Coast Surgery center. Cooper was made to feel welcomed and reassured through the process. The nurses and Dr. Cole�s PA were all compassionate and operated with outstanding communication. Dr. Coles office was available through email at any point and quickly responded to any questions we had. Cooper spent the next couple weeks recovering at home then after our two week checkup he started physical therapy. Physical therapy lasted for four months three times a week. The therapist had Dr. Cole�s guidelines and sent regular reports back to him on progress. During this time Cooper continued to be part of his middle school basketball team as their manager. 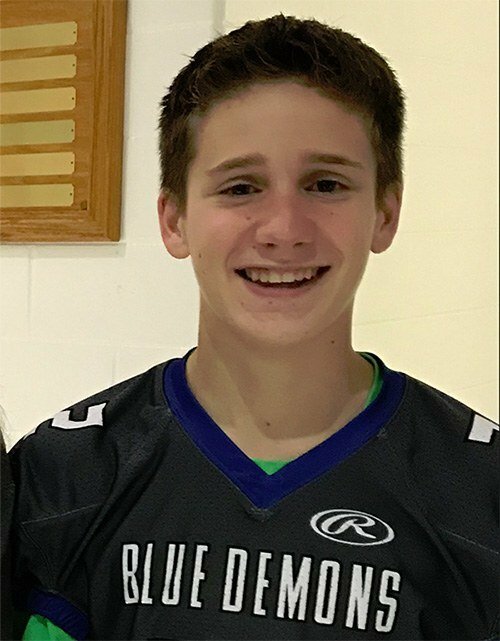 He was also selected to participate in the Illinois Jr High All State Basketball weekend based on his seventh grade year accomplishments. At the end of his physical therapy he returned to Dr. Coles office to take the Functional Sports Assessment. Cooper said �Wow that was one of the coolest things ever�! He was really intrigued by the sensors that were attached to his back and shins. The sensors relayed movement information to a computer to track movement and help to verify his body was moving symmetrically which helps to reduce the risk of future to the non-repaired knee or reinjuring the repaired knee. Now that Cooper has been released he is spending the next two months preparing for summer football to start. He will go into his freshman year full of confidence in his ability to overcome adversity and be stronger mentally and physically than before the injury. The experience with Dr. Cole has given him a new level of confidence in his ability to start his career as a high school student athlete and perform better than before. With a smile Cooper�s last question to Dr. Cole was �Where do you recommend I go for my release celebration lunch?�.